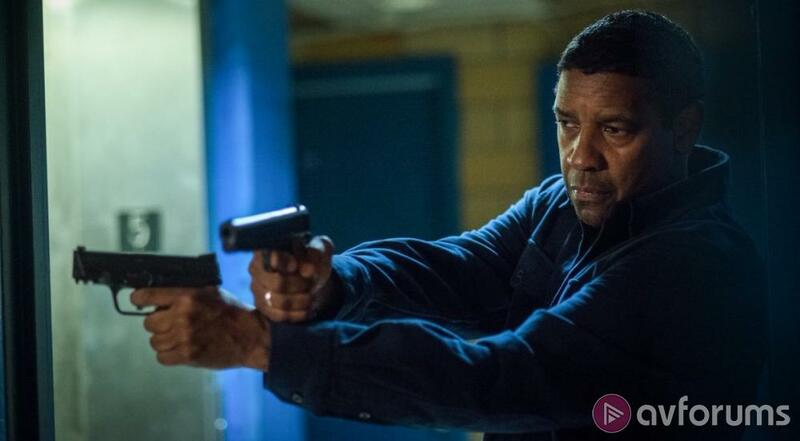 One of the most reliably watchable legends in the industry, Denzel Washington, commits to his first ever sequel in this violent but somewhat pedestrian follow-up to 2014's The Equalizer. Few actors have as consistently good-to-great a film output as Denzel Washington. In some ways, he could be rivalled by Cruise in terms of reliability, but whilst the latter has more headlining blockbusters up his sleeve, few would argue that Washington has shown a far greater range, delivering powerful - often Oscar-worthy - performances, and committing to even his arguably lesser projects with consummate professionalism. In 2004 he undertook a project helmed by the late Tony Scott, Man on Fire, the second film adaptation from the book of the same name, which pitched him as a highly trained ex-military specialist, worn down by time and alcohol, who has to pull it together to rescue a kidnapped girl who was under his protection. It's a great little action thriller, and - given the book was just one of a series of novels featuring the same character(s) - it had the potential to be a strong franchise for Washington. But clearly he wasn't ready for a franchise back then in his career. Cut forward a decade, and Washington re-teams with his Training Day director, Antoine Fuqua, for a Big Screen adaptation of the 80s TV series, The Equalizer, playing the same character Edward Woodward made famous in the show, Robert McCall, a retired Intelligence Agent who spends his spare time meting out justice on behalf of those who can't defend themselves. Was this the right choice for Washington's first ever sequel? The first film was an enjoyable enough affair, peppered with some extreme brutality (which saw the censors working their not-so-magic wand in order to get this under a 15 certificate) but a fair amount of Fuqua-propelled style, and bolstered by the sheer presence and charisma of Washington, for whom the role was lightweight but somehow made more substantial just, because, he's that good. Much like Cruise's Jack Reacher, it was a late era career choice which - at least in the minds of the execs behind it - had the potential to grow into a franchise (after all, that's the name of the game these days) and, sure enough, it was successful enough to spawn one, marking the first in Washington's illustrious career. The question is - was this the right choice for Washington's first ever sequel? After the events of the first movie, Washington's McCall has established himself as something of a gun-for-hire, helping those in need as is shown in the opening prologue sequence that sees him disguised and on a rescue mission aboard the Orient Express. No longer at Home Depot (unsurprisingly; he left the last store quite the mess), he's now an Uber-style freelance taxi driver who intersperses his 'day job' with exacting brutal justice to protect anybody who comes across his path. So far, so Equalizer, but things soon get personal when McCall's old mentor gets into trouble, setting off a series of events that draw McCall back into the shadowy Intelligence world, dispatching assassins who have come to kill him with increasingly innovative methods until - eventually - he is forced to confront the enemy behind it all, quite literally in the eye of a hurricane. The trouble is, whilst it probably looked like a clear-cut story on paper, returning screenwriter Richard Wenk isn't happy being straightforward in his Taken-esque revenge plotting, drawing Washington's McCall into a subplot designed to elicit more character development in the scantly-plotted role, as the ageing veteran becomes mentor to a wayward youth who is one step away from embracing gang life. Wenk tried the same thing in the first movie, with a couple of disparate characters in the story, but thankfully largely tied them into the main narrative, seeing the villain grow to a somewhat worthy adversary as he starts stabbing at the ones McCall cares about. This time about, it's all-too tangential, with late-stage ties to the main plot feeling utterly contrived, and the see-it-coming-a-mile-away villainy utterly insubstantial and far too underdeveloped. The film completely drops the ball in its second act, drawing out what could have been a taut sub-100 minute action-thriller into an almost tiring two-hours-plus affair which truly gets going far too late in the day. The end result is a sequel not wholly unlike Cruise's late-career attempt at a (second) franchise, with Reacher, with the production feeling like it had earned the right to exist merely on the basis of the sum of its parts, and nobody competent prepared to make the tough choices and edit it into something more memorable (Never Go Back similarly plays with themes of fatherhood in a distracting sub-plot which, again similarly, ironically affords the star the only real opportunity to actually act - Washington faces the same problem as Cruise here). It's a shame to see Washington involved in such a formulaic and cookie-cutter enterprise like this, which takes the bare bones of the original, maintains the same style, but doesn't really bother to do anything much different - and what it does try, it fails miserably at, only diluting the thrills that were probably the only thing people came looking for. Only Washington ultimately makes it watchable, outshining the likes of Bill Pullman, Melissa Leo and Narcos' Pedro Pascal, in a part the 63 year old could do in his sleep but for the fact that his utter commitment prevents him from dropping the ball even on a sub-par enterprise. Fans of the first film are still going to get some enjoyment out of the brutal deaths (albeit toned down in this UK release which, as with the first, was censored to get it under the 15-certificate banner) and will enjoy the one-liners and Washington's almost unparalleled command of the screen. He's carried lesser material for Fuqua for a number of projects now, not wholly unlike what he did for the late Tony Scott during their run together, but it's hard not to wish for an alternate universe where it was the vastly superior Man on Fire that got franchised instead, and where we might not have ended up wishing Washington hadn't broken his rule on not doing sequels - at least not for this. Write your The Equalizer 2 Movie review.